It’s so privileged for me to be able to support mothers a bit now and then by visiting when needed. I was allowed to take you with me via these pictures from yesterday. The little girl is three weeks old and halfway through a meal which helps her to relax on her changing table. So convenient to have water close at hand, so you don’t need to get water from another place. The temperature in the room is comfortable so she can enjoy lying there without clothes. 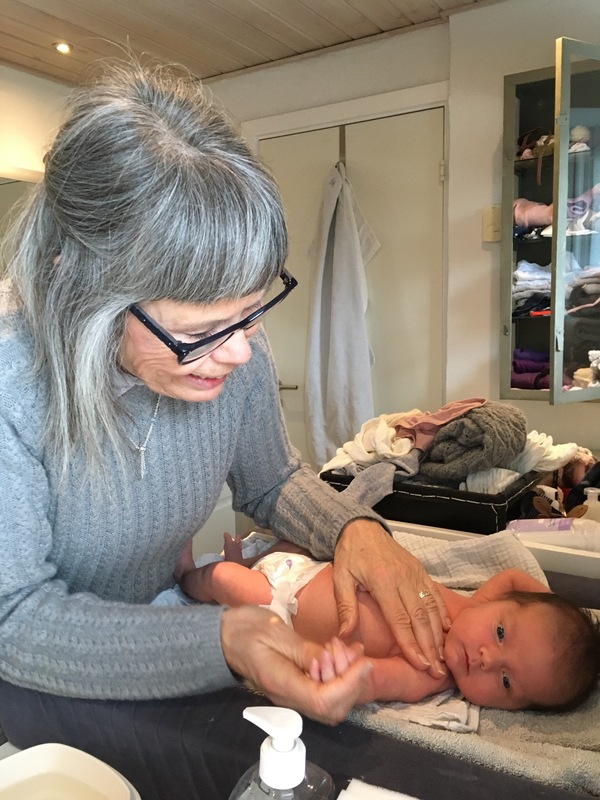 Besides the need for changing and washing the baby, time can be spent talking to her about what’s going on, and you can turn her from side to side gently so she will learn to roll by herself in a few months. To get eye contact, you need to turn her head upwards and hold her while leaning over to get closer or move to the side and speak to her from that direction in the distance of 25 cm. In a month time you can do some baby massage too and “gymnastics” with legs and arms. 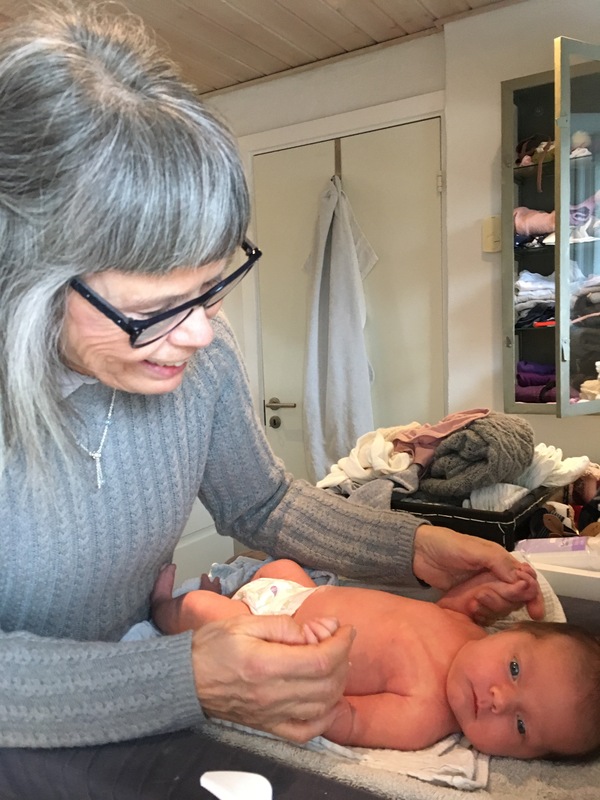 The link is to my baby page in Danish where you could see some pictures. She is relaxing on her changing table. 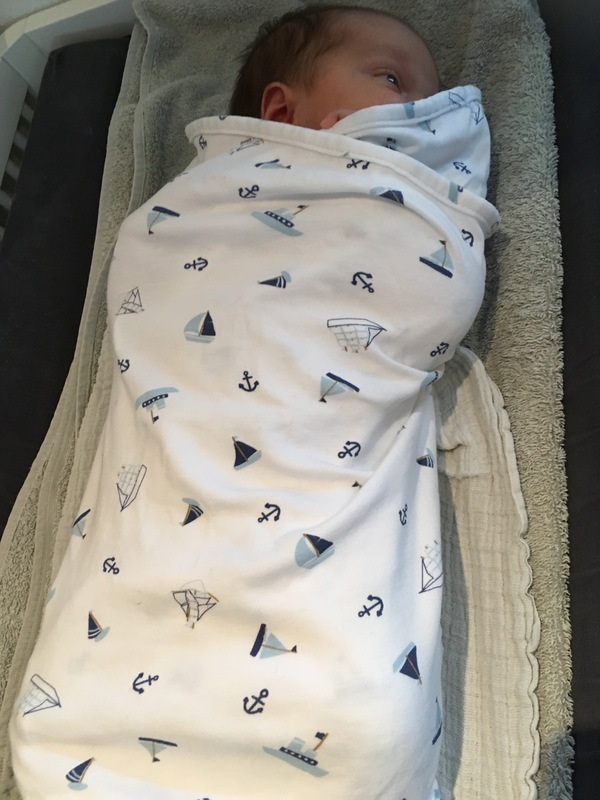 I always bring a swaddling cloth for the early age of a baby, and she continues to relax swaddled gently. The baby clothes are stored in a glass case within reach from the changing table. She is the lucky passenger of a Danish Odder pram or baby carriage are a lot bigger than those from other countries.The firm is 91 years old. We have a tradition to let our babies sleep outside until they grow out of the pram. This kind if a pram or baby carriage is about 98 cm long. A two-year-old can comfortably sleep in it. We talk about her signals and needs. What to do to get the air up during and after breastfeeding and how to combine these practical needs by stimulating her senses sight and hearing. The moments with an awake baby are precious, and all thought of using the phone should be postponed until after she is asleep again. This is not an issue here, but unfortunately, I see that the mobile phone seems more important than giving full attention to babies while they are eating or just alert. Her brother has a vintage cot called a Juno cot. It was invented during the war by Viggo Einfeldt. Materials were scars and as he didn’t want to serve the Germans during the occupation of Denmark Viggo Einfeldt turned from being a building architect to these baby cots still very popular now 60 years after his untimely death. You can read more about him in the link on his name. and his books are placed in a plate rag. 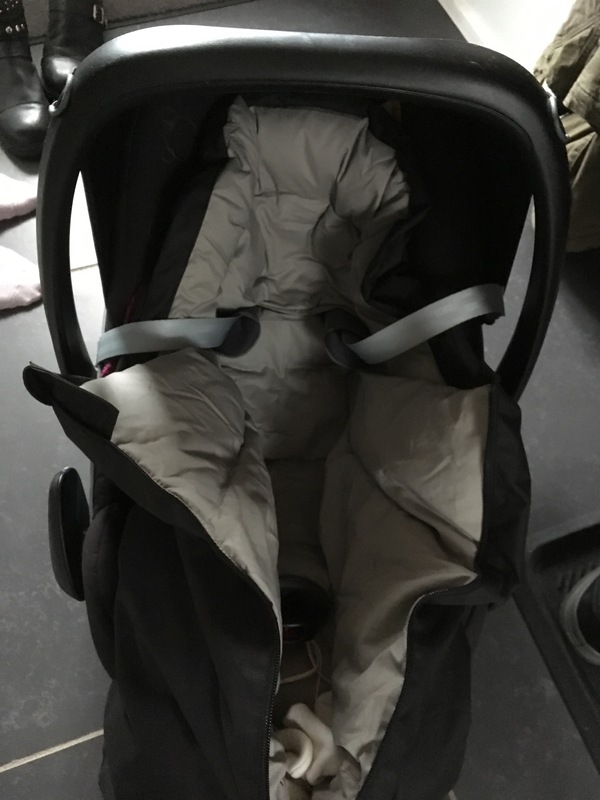 The car seat has a warm bag, so those warm outdoor clothes are not needed during transport. I would give anything to have my grown Sons as Babies again, I relished every moment of them as little. If the phone rang, I let it my Son would always come first. Loved the blog, very interesting indeed, beautiful baby. Take care, Anna. It took me forever to add photos to my Senior Salon articles this time too – repeated error messages. I even had to delete from the LinkUp and start all over when “no photo” was all that came up after I finally got one accepted and was able to save the link. It took me over an hour’s worth of determination, but I finally solved it by taking a screen snap of the photo from my article, forcing it to open in another program by changing the format (“.gif” vs. .anything else at the end). Then I used the UPLOAD option to get it online. ::sigh:: Internet “improvements” seem to make thing more and more complicated and time consuming. Loved this article. A good friend has a brand new grand-baby, so I read with interest. 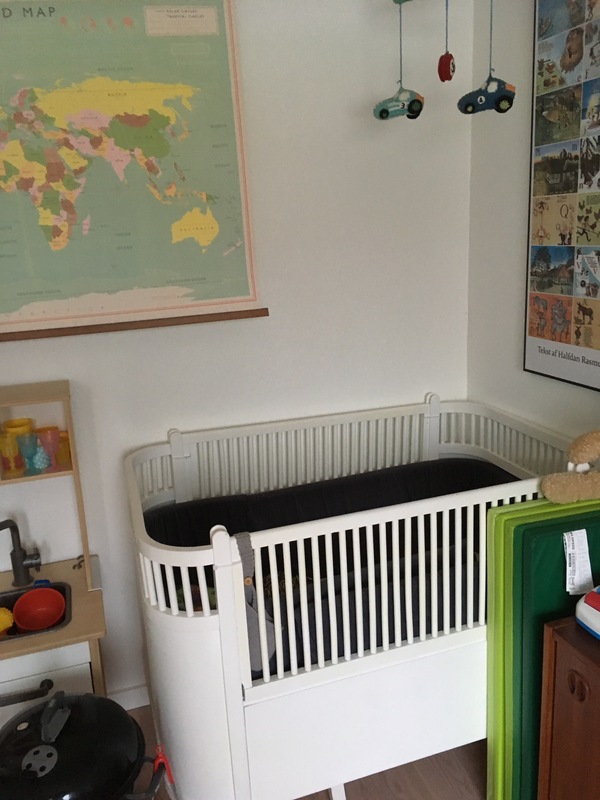 American cribs are similar to the cot pictured above – but, unfortunately, our country is no longer safe enough to allow our babies to sleep outside, no matter how good it might be for them or how large the pram. I had a bit of trouble last week – but nothing compared to this one. 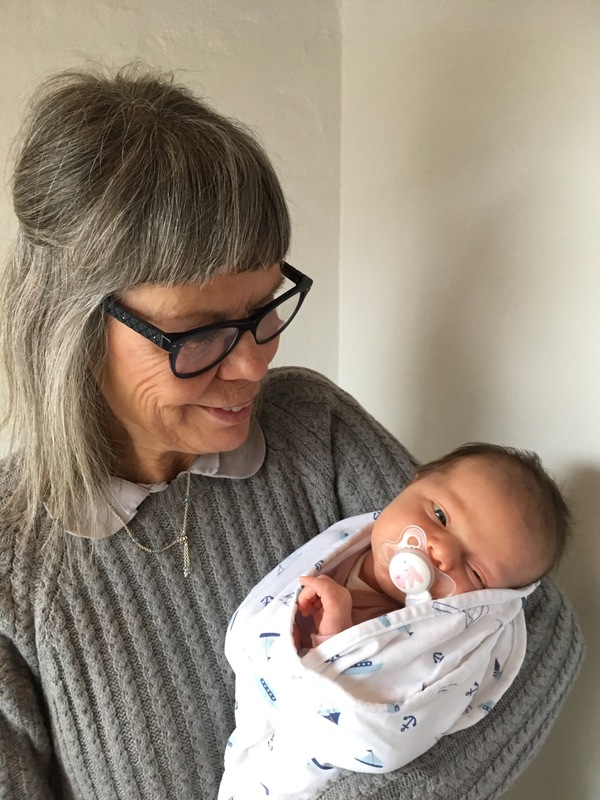 Tell the mother congratulations – and that I think her baby is adorable. 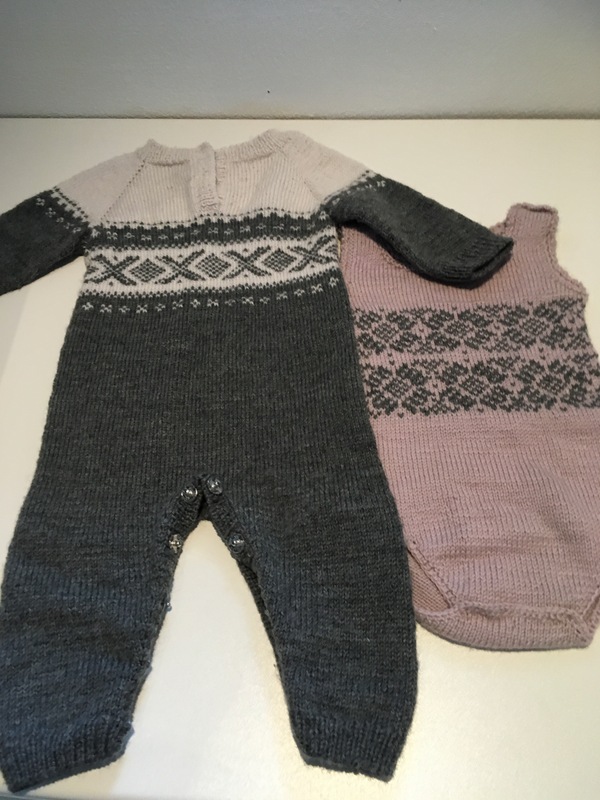 Love the hand-knits too. 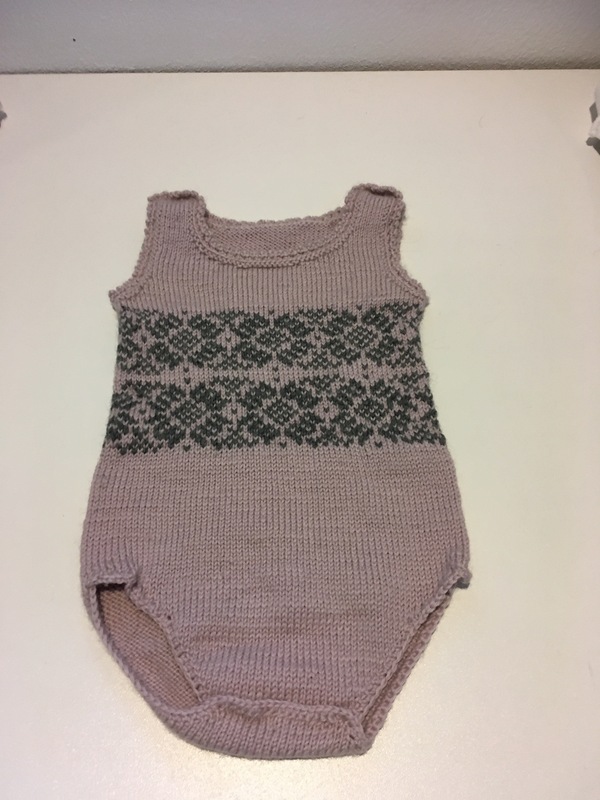 What fabulous knitted items!! 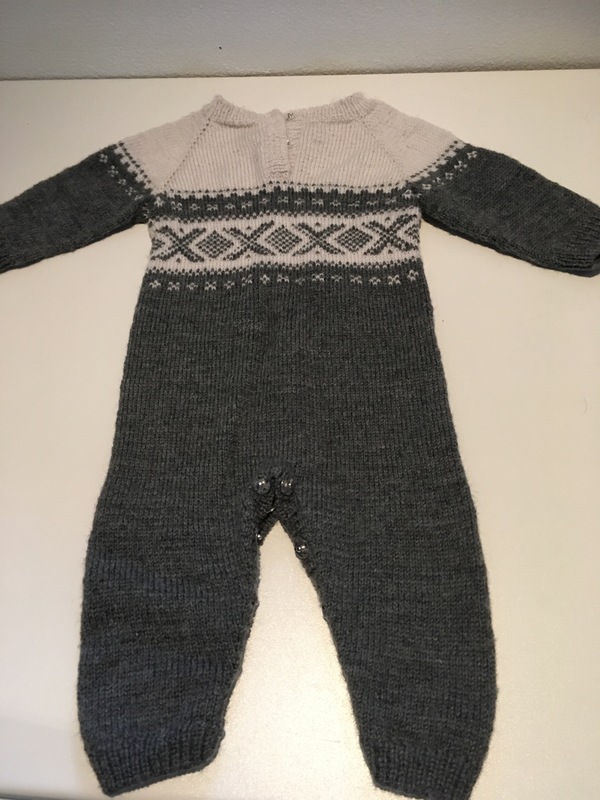 I’m a knitter too, so it warms my heart to see other people’s projects!! Loved this peek into Danish life, Maria! So fascinating!! Perhaps all the more so because I have Danish roots in my background, via my great grandmother Anna Peterson! How lovely to hear that. I have better descriptions on the job somewhere on my blog. It’s called something with a postcard from Denmark. I was asked by an Australian blogger to do that. This post is a mixture of what my job was about and now where I can add some creativity to it. It’s all very interesting! Keep the great posts coming! So would I, Maria. Unfortunately, I never knew here, or much about her. I do have one photo though! Sweet baby! 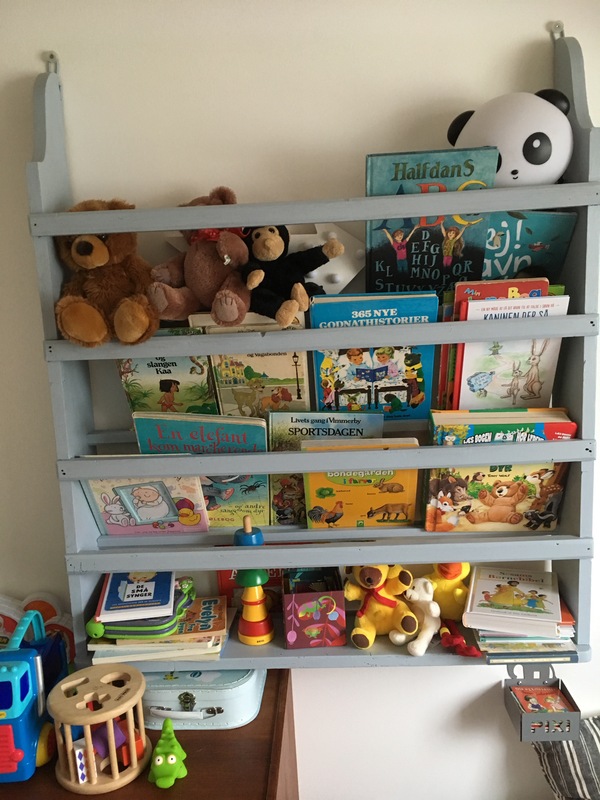 Nice collection of books and toys! I am so jealous. I’ll bet you were high as a kite with that beautiful baby and that wonderful baby scent. So true Bernadette. I am so happy when the young mothers accept my visiting. I tell them what I offer at different crucial stages of a baby’s life and they want that! Nice feeling to visit kids! Great share!